Hardide Coatings has provided a coating solution for a new tool that will save oil and gas operators millions of pounds per year by extending weather windows for drilling operations. Well construction specialist DeltaTek Global selected the Hardide CVD (chemical vapour deposition) tungsten carbide-based coating for the key component of its new ArticuLock tool. ArticuLock provides operators with longer weather windows to deploy subsea hardware and improve operational reliability by removing bending fatigue in subsea running tools and landing strings. The Hardide-T chemical vapour deposition (CVD) tungsten carbide-based coating was used on the key component of the tool, a complex shaped ball and socket pivot joint, which is subject to extreme loads of up to 400 tonnes, 5000 psi of working pressure and 30,000 ft.lbs of torque while operating in severe wind, wave and current environments. Delays due to bad weather costs operators £400 million per year in the UK alone and up to 20% of drilling budgets are allocated to waiting on weather. Use of ArticuLock will allow operators to run tools in weather environments where previously drilling would have been suspended. It can increase operable wave heights by 400%, from up to 1m to up to 4m. The severe operating conditions meant that a hard-wearing coating was needed for the pivot joint body which is manufactured in AISI 4330V alloy steel, widely used in the oil and gas sector. The complex grooved geometry on the ball of the pivot joint body presented a further challenge to achieving the necessary post-coat surface finish. Hardide Coatings and DeltaTek worked together to achieve the necessary hardness, thickness and smooth surface finish through coating and polishing alone, rather than using grinding. ArticuLock® was successfully field-trialled on the Stena IceMAX, a state-of-the-art harsh environment, ice-class drillship. The tool is expected to be used in regions as varied as the North Sea, the Gulf of Mexico, West Africa and Western Australia. 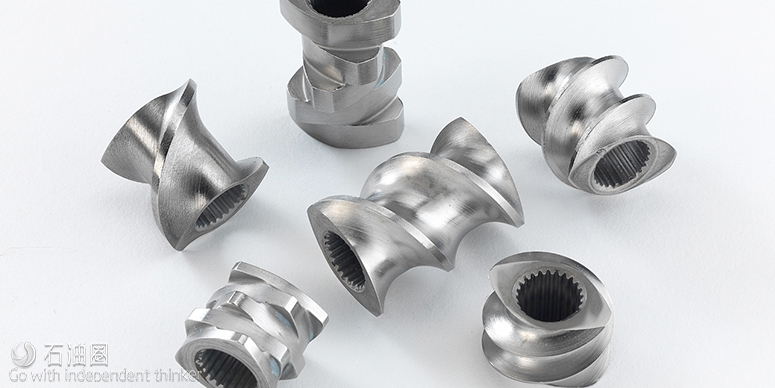 Hardide® is a family of low temperature CVD (chemical vapour deposition) tungsten carbide-based coatings that increase the life of critical metal components operating in abrasive, erosive and chemically aggressive environments. The coatings have a unique combination of abrasion, erosion and chemical resistant properties while being tough, ductile and impact resistant. Hardide-T has enhanced toughness and is suitable for heavy duty applications in extremely abrasive and erosive environments where a thicker coating (typically 50 microns) is required or in applications involving shock loads where impact resistance is required. Customer coatings can be developed for specific requirements. The capability of our in-house technical and engineering teams, and the flexibility of our coatings’ properties allows us to develop coatings for your specific needs. We can engineer a solution for many complex applications and wear, erosion or corrosion problems that other coating technologies cannot solve e.g: Hardide-A was developed specifically to meet the needs of the aerospace industry and as a direct replacement for hard chrome plating (HCP which faces legislative EU restrictions. Hardide-A matches HCP in thickness (100 microns) and hardness (>800 Hv) and outperforms the material in several key properties including enhanced protection against corrosion, wear and chemically aggressive media. No significant changes are necessary in part dimension or drawings. We recently developed a coating specifically for a customer who needed high chemical purity and enhanced thermal management properties but not coating hardness. The coating was therefore developed with low hardness, high purity and very low internal stresses to meet this customer’s needs.